Wondering how AI can inspire artists to create their best work? 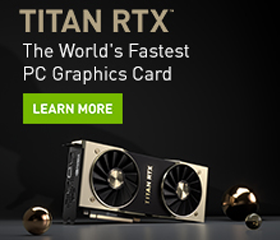 Renowned artist Chris Peters recently purchased a new NVIDIA TITAN RTX GPU with the intention of using it to create art. The results are stunning compositions generated by the AI, and actual oil paintings painted by Peters himself. “The AI Muse produces digital images, but a digital image is not a painting and a computer printout of the same image is still not a painting, no matter how faithfully rendered,” Peters said. 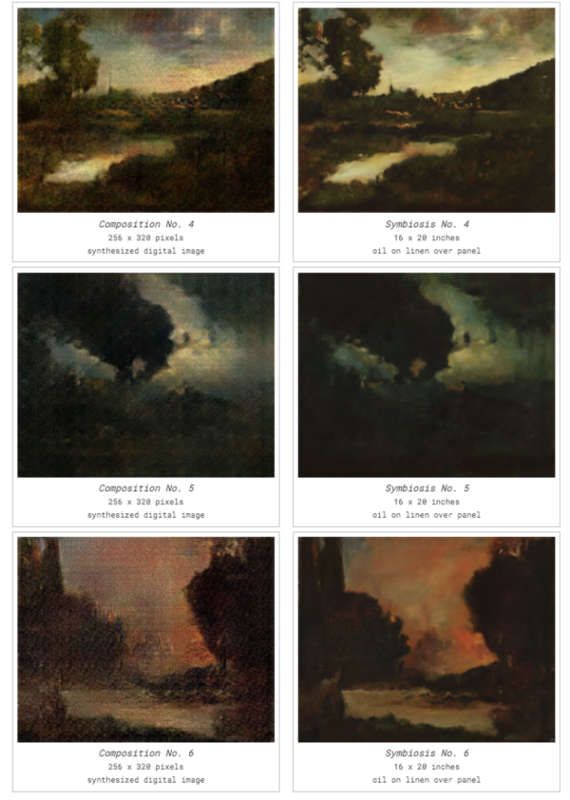 Using the NVIDIA TITAN RTX GPU, Peters first trained a neural network on 6,000 curated images that emphasized the masters of American Tonalism, an artistic style that emerged in the late 1800s. Once trained, the system generated original landscapes that reflect the training dataset. The next step was for Peters to recreate the image into a real-life painting. “Where to start? How to establish a point of view?” the artist said. Eventually, Peters began to understand the logic of the neural network and began to recreate the images through oil paintings. The images on the left are new, original compositions by the AI. The images on the right are actual oil paintings by artist Chris Peters inspired by the AI Muse. 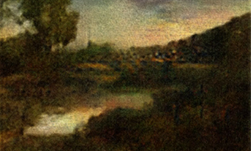 Peters is the first artist to use AI to generate landscape compositions and paint them in oil. Video posted on Chris Peters YouTube site showing how the AI images were generated.